Seeing an age-enhanced photo of themselves compels people to contribute more to their 401(k), a study shows. A new wave of retirement planning tools seeks to connect employees to their 401(k) plans by tapping into their hearts rather than their heads. Spurred by the work of behavioral economists, the tools guide employees to consider an older version of themselves. “If you have empathy for yourself in retirement you’re likely to save more,” said Warren Cormier, founder and president of the Boston Research Group. Empathy is just one of the tenets of the new wave of tools that plan sponsors are using to entice workers to save for retirement. Unfortunately, simply talking about investment choices and the importance of saving in a group meeting often leads to little action afterward, researchers have found. “The education delivery model is flawed because it’s passive,” said Matt Iverson, co-founder of Boulevard R, a San Francisco company that provides retirement tools to plan sponsors and advisors. Using research by Dan Ariely, a behavioral economist from Duke and MIT, Boulevard R last year rolled out Retiremap, a software tool designed to engage plan participants. Instead of listening to someone talk, employees are given iPads so they can use the tool to assess their own financial situation. “People have an emotional response, they are engaged,” Iverson said. The success of that engagement is backed by metrics, which show that after completing the exercise. 53 percent of employees increase their salary deferral rate. In addition, 88 percent of employees say they plan to save more for retirement after using the tool. 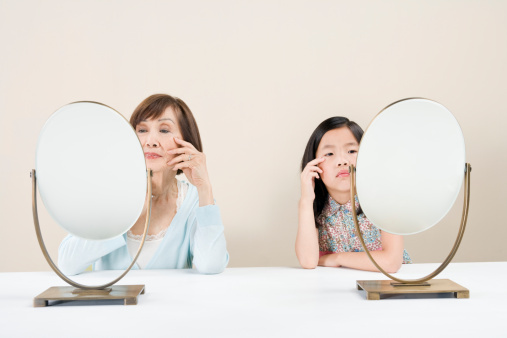 Connecting an employee to his retirement self was found to raise salary deferrals to retirement accounts in a study by Mercer and the Stanford Center on Longevity. Some in the study were shown age-enhanced photos of themselves while others did not see such images. Those that looked at their old age squarely in the face put an average of 6.8 percent of their salary in their 401(k)s. Those that didn’t deferred 5.2 percent. That’s powerful, but the authors of the Mercer/Stanford study said that plan participants could simply envision their retirement as a short list of needs, and that would have the same effect. “If you create an emotional connection, you get more of a behavioral change than with just a data base connection,” Cormier said. Instead of focusing on retirement savings, companies are seeing the benefit to treating financial health in a holistic way to engage employees. Iverson’s tool does that, but even employers with a more traditional approach to educating workers about retirement savings have seen the benefit of his approach. The Society of Human Resources Management, an association with more than 250,000 members founded in 1948, has employee participation rates in its defined contribution plan that almost any company would envy. But even with 95 percent of its 400-member workforce saving for retirement, there’s still work to be done, according to Bruce Elliott, the group’s manager of compensation and benefits. One thing that catches their attention, Elliott said, is simply showing employees how much they stand to gain by simply getting their company’s matching contributions. It’s getting plan participants to contribute beyond the company match that can prove difficult. Cormier notes that deferral rates are often top out at about the point the company match ends. If an employer matches at 50 percent of an employee’s first 6 percent of salary deferrals, the typical employee will save 9 percent per year. That’s less than the 12 percent financial experts say is the minimum needed to fund retirement. A small change, Cormier said, can make a big difference. “By matching at, say, 25 percent up to 12 percent more people” will be saving enough for their post-work years, he said. Of course, employers deal with competing interests. The level of benefits offered is usually in line with competitors. There are other ways to add value. Many companies see the holistic financial health of their employees as providing benefits that go both ways. “If you are up all night thinking about bills and debt collectors, it’s going to affect your health, it’s going to affect your work,” Elliott said. “There is a return on investment” for helping solve these problems. Elliott said the association’s banker, SunTrust, offers seminars for employees on a range of personal financial topics from managing debt to purchasing a home in exchange for the chance to pitch its checking accounts. “If you want more engaged employees, this can be part of the answer,” he said. Indeed, when Boulevard R asked employees who assessed their financial well being if they thought the tool was helpful, 95 percent said they thought it would ease stress they felt about money matters. By starting on matters employees say are important to them (buying a home heads the list at nearly every company) and helping employees understand that to reach that goal they need to become engaged, they become more likely to listen to advice about saving for retirement. Cormier frames the question in a half full, half empty way. How far they want to go might just depend on how well they can connect to a vision of themselves in retirement.